At Unicesumar, university extension is a way of integrating the university with the community. Extension becomes a permanent bridge between the university and various sectors of society. The content of programs and extension courses is run a simple and detailed language, considering the quality of the work of the extension courses at Unicesumar. With knowledge applied to practice, the programs and courses turn to the community by understanding its desires and aspirations. Thus, university extension ensures that people can improve themselves and participate in projects regardless of the area in which they operate and class to which they belong. Our university extension materializes the theory that attributes social responsibility to the channeling of efforts to include people in the systems that they need. 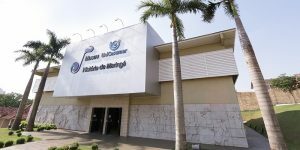 Unicesumar created a museum that is dedicated solely to preserving the history of the colonizers and development of Maringá. To this purpose, the museum was built on the university´s campus, aiming to provide visitors with an interactive experience, with access to documents, photos, and digital videos about the history of the region. The museum utilizes 4D technology, similar to museums in large urban centers worldwide. The museum´s structure features the work of students and professors in various Unicesumar courses, such as Computing, Architecture, Fashion, and Communication. These affords resulted in the union of the modern (the museum building) and the past (the coffee barn donated by Companhia Melhoramentos Norte do Paraná and the house of the 1950s that portrays the reality of that time). Understanding the importance of art for personal and educational training, UniCesumar invests in a fertile environment for the development of skills, habilities and cultural enrichment. The Choir and the Philharmonic Orchestra integrates the university life and bring concerts not only to the region, but also to other states, always with na eclectic repertoire, composed of erudite, popular and folk music.